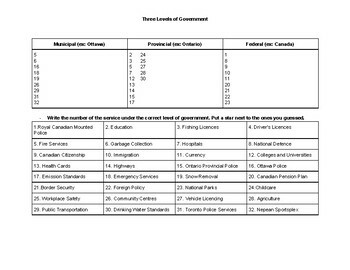 A list of 32 services and students have to put them under the correct level of government. 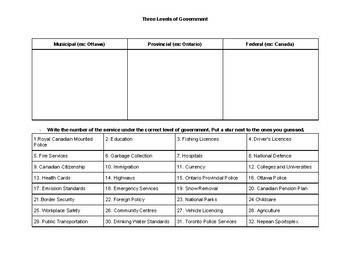 Aligns with the Ontario Social Studies curriculum, grade 5. No prep needed, answer key included. Please note, some examples only make sense in Ottawa, ie: Nepean Sportsplex.